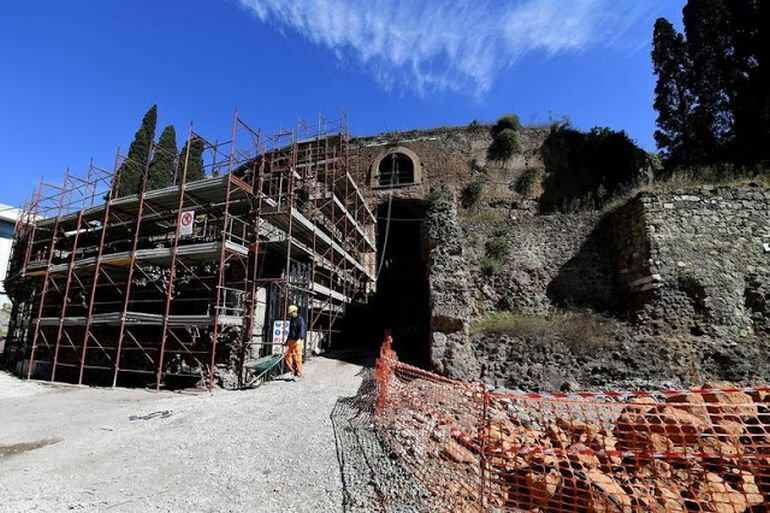 Last year, we talked about how Rome Commissioner Francesco Paolo Tronca approved an ambitious 6 million euro project for the restoration of the Mausoleum Of Augustus. Well the figure has now risen to 10 million euros, with the collaborative effort of the city of Rome, the culture ministry and a massive donation from Telecom Italia. Even beyond the monetary scope, the good news for history enthusiasts is that the work on the actual restoration of the incredible monument has already begun, and is expected to be completed by the year 2019. We’re going to bring back to life one of the great masterpieces of ancient Rome, which has lain abandoned in the middle of the city for years. As for the historical side of affairs, the mausoleum was constructed after a crucial victory was achieved by Octavian (Augustus) over Marc Antony, which led to the conquest of Egypt. The building phase began in 28 BC, and the apt chosen site pertained to the Campus Martius (or Field of Mars), a publicly owned ‘zone’ of ancient Rome that stretched over 490 acres in area. Suffice it to say, Augustus himself was buried there (after 40 years), even though he was tragically preceded by his nephew Marcellus. Later on he was followed by various members of his family, with the conspicuous exclusion of the ‘scandalous’ Julia, his daughter. In addition, the imposing tomb also holds the bones and ashes (possibly remnants) of Roman emperors Vespasian, Nero and Tiberius. 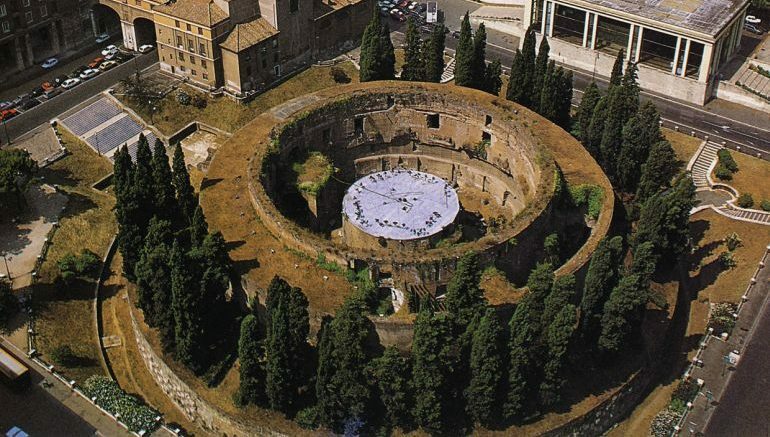 In terms of architecture, the Mausoleum of Augustus showcased a circular plan with an impressive diameter of three hundred Roman feet (about 292 ft or 89 m). The height of the monument comprised half of this length (corresponding to 146 ft), thus maintaining a balance in its elevation and equating to the largest sepulcher in ancient Roman architecture. As for the structural side of affairs, the core frame of the massive tomb was built from a composition of tufa and concrete, while its external facade proudly showcased travertine stones. Intriguingly enough, judging by the imposing nature of the outer walls, it is entirely probable that an earthen platform emerged from the first ‘level’ to account for a second terrace. Furthermore, the crowning drum was possibly also supported by intricate columns (thus creating the tholos, a round temple), and it was further embellished by a series of Cypress trees (as attested by Strabo). The tomb itself was in the center of the tumulus, approached through a series of concentric walls circling a central pier. A narrow passageway pierces the outer two, which were filled with earth to buttress the structure, to reach an annular corridor around a fourth wall that served as the foundation for the drum that rose above the terrace. Two doors at the end of the passageway led to yet another corridor surrounding the burial chamber, which was enclosed by a fifth wall. 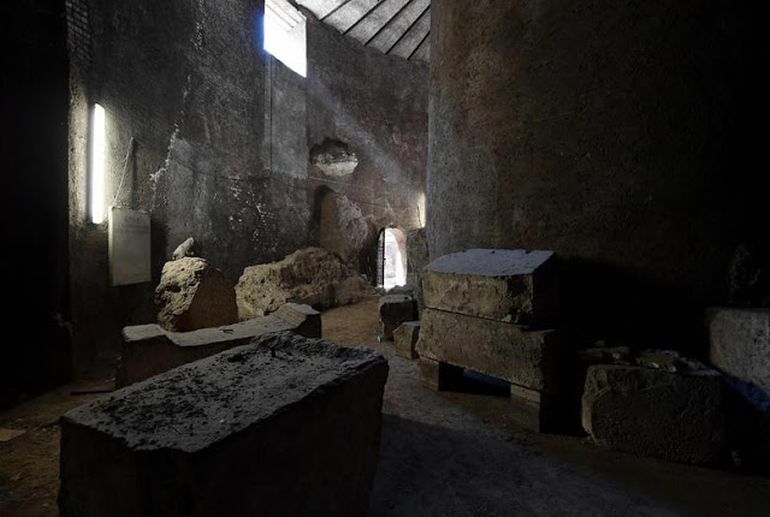 Inside this chamber was the tomb itself, with three niches for the funerary urns of the imperial family and, inside the large central pier, a small square room for the ashes of Augustus himself. 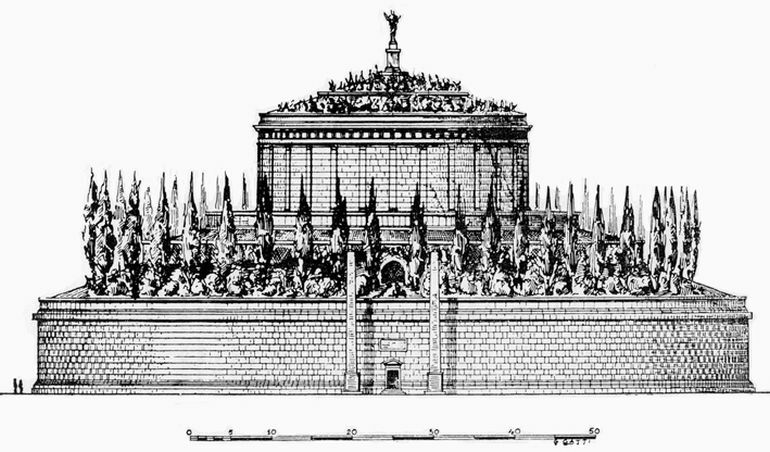 The name mausoleum had been used to describe the tomb from the beginning and may have been intended to recall that of King Mausolus of Halicarnassus, one of the seven wonders of the world (Vitruvius, II.8.11). Or it may have evoked the burial mounds of Trojan princes, the ancestors of the Julian clan, or the tomb of Alexander the Great, which Augustus had visited in 30 BC. The video below (created by Christopher Antoniou) gives us a three-dimensional glimpse into the possible plan, elevation and sectional attributes of the Mausoleum of Augustus, including the internal setup of the massive tomb.